Over the last couple of days we have witnessed some unbelievable shots in the golfing world. By unbelievable, I mean unbelievably good and unbelievably bad. You know those days when everything seems to go wrong, you land in the foot-print of a bunker or there’s one tree in the middle of nowhere and your ball finds its way right behind it or putts seem to lip-out all day long. We all know those days. But, there are those odd occasions when you do catch that amazing break, is there a greater power at work? RELATED: Ernie Els Misses a One Foot Putt. 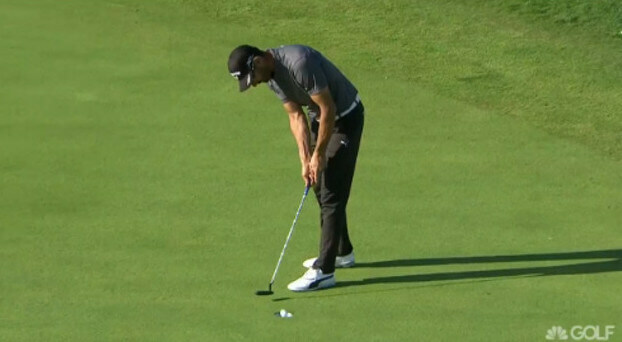 So here is some of the most Recent Luckiest and Unluckiest Shots in the Golfing World. John Huh and Jarrod Lyle sink long distance eagles back-to-back playing in the same group on the same hole. Pictures of Tiger Wood’s Irons from 2005. Unbelievable!